I hope you all head a great weekend. Mine was really good. After working on my presentation the whole Friday until 10 pm I finally finished the thing. So Saturday morning I hectically packed all my stuff – and food was the better part of my stuff – and took off to Benediktbeuren where we stayed over the weekend. We were fewer people than anticipated which turned out to be good for us. We had a good time and the discussion about my thesis went well and was very productive for me. When I came home yesterday I was so tired. 7 days of work in a row were a bit overpowering in the end. Luckily I could take a day off today. Unfortunately I only could do this as I have to work next Saturday :-/ But who cares today? 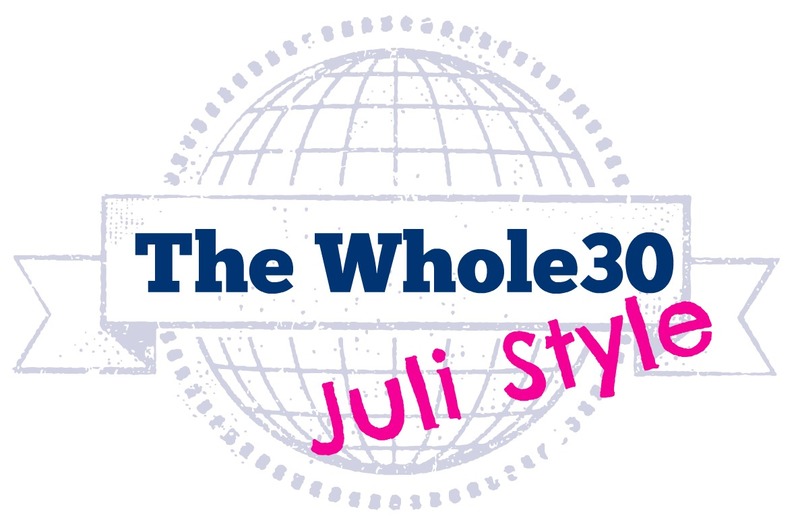 But for now I use my time to tell you about my second week of my Whole30 experience. I didn’t really feel deprived at all. Though I am certainly limited in my food choices I am still alright with that. This weekend was a bit tiring as I had to explain myself again and again and again. But all the others were really nice and supporting and even admiring 🙂 How funny! When everybody started to order beer whilst watching soccer and I sipped my water I felt a little left out. But I can handle that! I am afraid that I eat enough and I clearly see that I need to prepare better in order to have solid meals every day. I am almost half way through now and I start to think about my first post-whole30 meal. All I can think of is a juicy steak. Haha that’s so funny! My workouts get better and I see some changes in my body. I am tighter, leaner and somehow I begin to like my proportions. I tried on my bikini this morning and I feel comfortable in it. A first-timer! I never thought that I could sleep better but I sleep dead-like at the moment. Maybe it’s my exhausting days, maybe it’s the Whole30 I don’t know. I enjoy a solid 7h knock-out though. My skin is still worse. Hopefully I’ll see some improvement next week. What can I say hunger found me and never left me since then. I need more solid meals and especially a little more meat and veggies and a little less fruit. I see my body changing in the right places and that makes me so ridiculously happy that it’s almost embarrassing. Okay, that’s it for today! I am enjoying my day off on the couch doing nothing. I can’t remember the last time I did that not being sick. Have a lovely start to the week! How do you enjoy your time off? Ahh I am so happy for you! That is exciting to find something that works and makes you feel so much more confident! Thank you lovely! I am really astonished how good things turned out. I never anticipated to feel so good! Juli! I am so stoked to read what a positive effect this is having on you- normalised hunger, SLEEP and not feeling deprived? Those are amazing ones. Add the decrease in fat days and BOOM. Where can I find the whole 30 calender? I plan to start it one day.